Classic Risotto With Mushrooms And Vegetables Served On A White Plate. Banco De Imagens Royalty Free, Ilustrações, Imagens E Banco De Imagens.. Image 52537269. 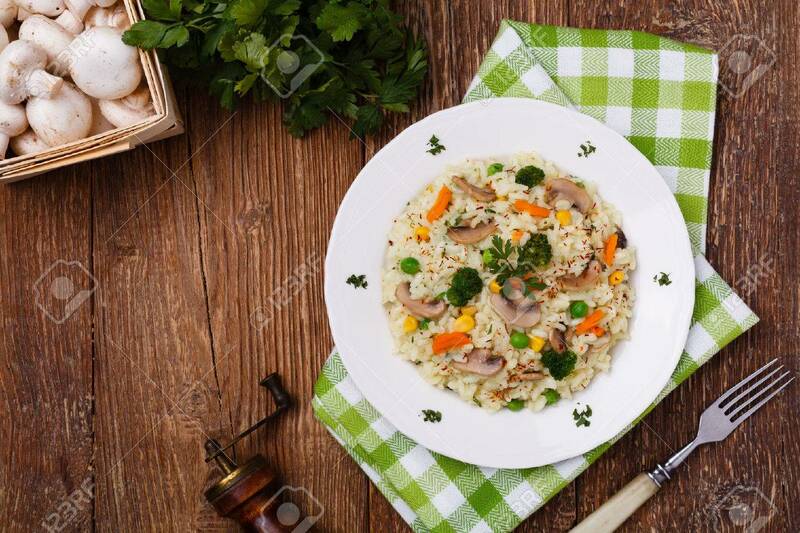 Imagens - Classic Risotto with mushrooms and vegetables served on a white plate.